You have from now until the 13th of April 2017 to earn yourself a range of additional extras simply for playing at Gala Bingo, for they have just launched their Road to Rewards promotion that is already proving to be very popular with players! Gala Bingo has always been famed for their huge jackpot bingo games, for being both a land based bingo club operator and with the advent of their online and mobile bingo sites and apps, they have one of the biggest player bases, which ensures their jackpots are always worth winning! The Road to Rewards promotion is first and foremost an opt in promotion and as such when you log into your account at Gala Bingo you will have to opt in to ensure that you are then going to be earning their special bingo points when you play any of their games. Once you have opted in you then need to deposit and spend as little as £5 in cash credits on any of their Happy Land games which includes all of their Bingo, Slot Machine and Scratch Card games and then you will start to be rewarded for playing those games! It is worth noting that for every additional £1 you deposit and then go onto spend on the games mentioned above you will then travel one Happy Mile on the Road to Rewards, which is where you are then going to be able to earn your additional extras! You will be aiming to progress along that Road to Rewards as far as you possibly can do by earning those Happy Mile points, for the further you do progress the more extras you will be showered with. You can earn slot machines free spins, free bingo tickets and also some very generous bonuses too so the more you deposit and play, win or lose, the more extras will be coming your way! 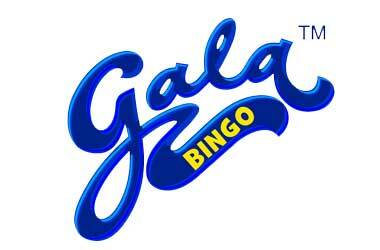 If you are not already a singed up real money player at Gala Bingo then in addition to you being able to opt in for the above promotional offer you are also going to be able to claim their very generous sign up bingo bonus when you make your initial deposit the details of which can of course be found on their website. It will also be worth you checking the Gala Bingo website regularly and also keep your eyes peeled for any Gala Bingo TV Adverts for by doing so you will always be able to find out just what new promotional offers are going to be available to you, and one thing you really will appreciate about Gala Bingo is that they do have plenty of ongoing promotions on offer to their bingo players!